The field of radiologic technology currently offers promising career prospects for professionals in Florida. The number of radiologic technologist positions in the state is expected to grow 20 percent by 2026, which is higher than the expected 12 percent growth in jobs around the country. Practitioners in Florida can also expect to draw a higher than average annual salary for this field. This state is a great place to explore a radiologic science career. 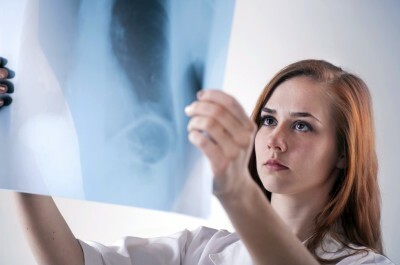 The average salary for a radiologic science professional in Florida is $55,210 per year. This is below the nationwide annual salary average for this field, which is $60,320. This is a strong figure when compared to the average annual salary for all professions in the state of Florida, which is $44,790. The highest paid positions in Florida among radiologic science professionals are supervisory positions in the field of diagnostic radiology. These positions generally require significant experience and/or a bachelor of science degree. More information on Rad Tech salaries in Florida. All practicing radiologic professionals in Florida must pass either the state exam for their imaging field or the appropriate national exam. For radiologist assistants, radiologic technologists, radiation therapists, and fusion imagers, the exam is administered by the ARRT. The nuclear medicine exam is administered by the Nuclear Medicine Technology Certification Board (NMTCB). In Florida, there is no minimum education requirement in order to sit for the Basic X-ray Machine Operator exam and become licensed in that limited field. Florida offers many options to potential students in radiologic technology, with 44 schools that offer degree or certification programs. Radiologic technology certificates, associates degrees, and bachelors degrees are all available in this state. Broward College: Broward College has been repeatedly ranked in the top 10 percent of community colleges by the Aspen Institute. The Associate of Science in Radiography program at Broward is a full time program. Curriculum consists of on-campus classes and labs, online instruction and clinical education in area hospitals. The first year coursework usually consists of two days per week of clinic hours, with the other three days spent in lectures and labs. Clinic days increase to three times a week in the second year. The goal of the program is to graduate qualified professionals who can successfully sit for the ARRT exam. Adventist University of Health Sciences: Adventist University, which offers its radiology programs in cooperation with Florida Hospital, is a great options for students who want to pursue either an a Associate of of Science degree in Radiography or a Bachelor of Science in Radiologic Sciences. The bachelor degree program is designed for working professionals and is offered completely online. Students can choose from three specialty tracks (MRI, CT, or Multi-Modality) to earn their certifications and become multi-credentialed. Florida SouthWestern State College: Florida SouthWestern State College in Fort Myers is an option for students who want a residential, four-year college environment while pursuing their Associate of Science in Radiologic Technology degree. The college’s program is nationally accredited by JRCERT and has boasted a 100 percent pass rate on the credential certification examination for the past 8 years, ranking the program in the top 15 percent nationally. Tallahassee Community College: Tallahassee Community College offers a two-year full-time Associate of Science in Radiologic Technology degree program at its campus on the west side of the city of Tallahassee. Clinical practice takes place at various sites around the city, including hospitals, orthopedic, veterans clinics and smaller clinics. This program has been approved by Florida Department of Health’s Bureau of Radiation Control, which means that graduates are eligible for licensure in Florida as certified radiologic technologists. Please note this program is a limited-access program with a limited number of seats available per class. Other alternatives for Florida residents may lie in the states the north of Florida, in Georgia and Alabama. Florida is a popular retirement destination, which helped to ensure that there is a large number of quality hospitals and medical centers throughout the state. These institutions are the largest employers of radiologic science professionals in the state. The Florida Society of Radiologic Technologists (FSRT) is the state affiliate of the American Society of Radiologic Technologists.